We tune up every brand and model. Same as a basic tune up and will also degrease drive train (chain, cranks, rear gears) and detail clean entire bike. Suspension Forks and Rear shocks need serviced at least once a year. 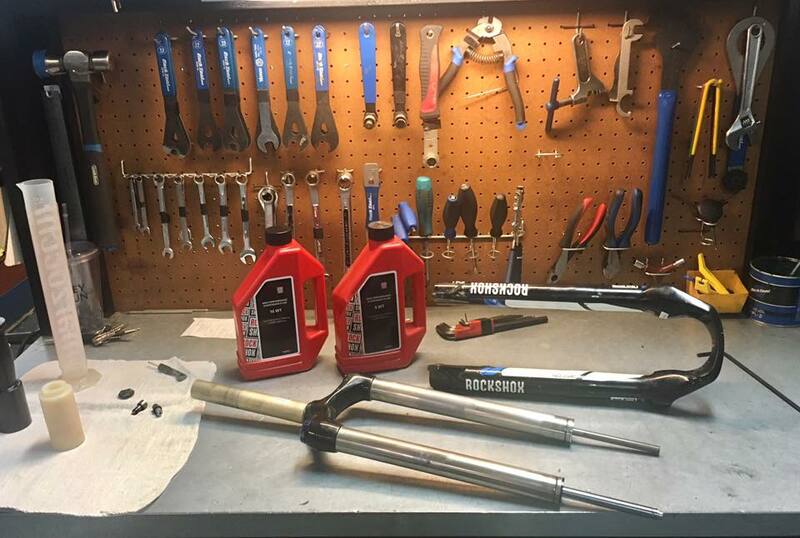 ICS repairs Fox and Rock Shox forks most rear shocks. ICS can repair forks from 2014 to present without any problems. For older models, please contact ICS directly to determine if any required parts are still available. .
Prices range from $69.99 and up… The average overhaul is $150. Very fast turn around time. Usually only 7 -10 Days! Charges vary depending on the type of repair and the fork model. All work is guaranteed for 90 days. Custom wheel build labor is $60 per wheel, plus parts; spokes, hubs and rims. We always use new rims and spokes for wheel builds to be sure of a quality build that will stay strong and stay true. I can rebuild wheels for restoration projects on OEM used items. DT Swiss stainless spokes are standard for most builds. I give Life Time Truing for all my custom wheel builds. I have 25 plus years experience building all types of bicycle wheels. I can help with the choice of hubs, spokes and rims to get you the best wheels for your style of riding. 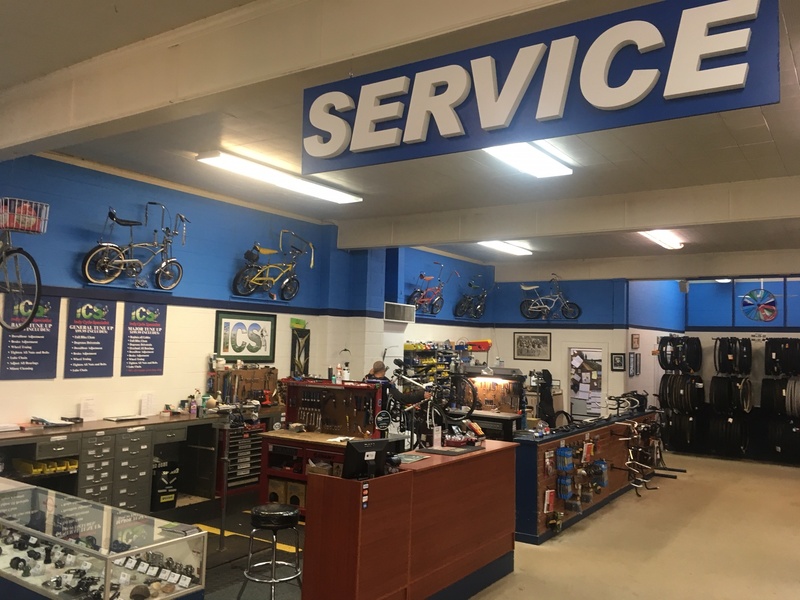 Indy Cycle Specialist has all the parts you need to upgrade or maintain worn or damaged bike parts. We source parts and other bike related items from about 180 companies. You can see the list at the custom bike page here. ICS can custom build you a dream bike from the Frame up. Salsa Cycles, Santa Cruz Bicycle, Soma Fabrication, Surly Bikes, All City, Heller and many others.